Dan Gilroy in 2014 burst into the scene with his directorial debut feature, "Nightcrawler," making a big impression with the dark satire about local news and tabloid culture. Now the filmmaker returns with "Roman J. Israel, Esq.," another slippery morality tale built around a protagonist with questionable social skills. 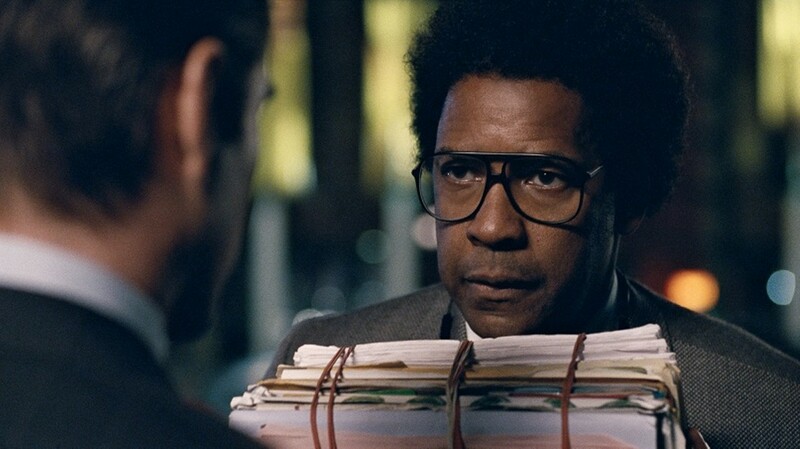 Part legal drama, part character study, and a bit of crime thriller, not all of the film works, but it's never less than watchable thanks to an excellent lead performance from Denzel Washington. Whereas the protagonist of "Nightcrawler" was an unscrupulous psychopath, Roman runs 180 degrees in the opposite direction, defined entirely by his decency and idealism. He's a Los Angeles defense attorney who's made a life of taking low-paying work, content knowing he's doing good in the world. But the sudden death of his partner forces the already struggling firm to close, leaving Roman without a job or a direction for the first time in his life. With his 70's-era afro and ill-fitting suits, Roman looks like a relic, the product of a time long since passed. He has an awkward demeanor and encyclopedic knowledge of the justice system -- Washington has said in interviews he played the character as somewhere on the autism spectrum -- and Roman struggles to find a new place for himself.He interviews with Maya (Carmen Ejogo), a young activist at a nonprofit civil rights group, and though he doesn't land a job, she takes an interest in him, and they form a chaste friendship. Roman's eventually hired at high-priced firm run by slick criminal lawyer George Pierce (an understated Colin Farrell). At first he's a bit at sea in the corporate atmosphere, but as he finds his way, Roman's dearly held principles start to slip ever so slightly. Gilroy is attempting to cover a lot of territory here, and pieces of it are interesting, but the filmmaker never quite finds a way to bring it all together into a satisfying whole. 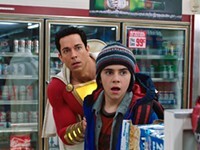 The film's first half is strongest, before the film's unwieldy narrative starts to meander through a few too many subplots for its own good, and Roman makes some decisions that don't seem to add up based on what we know about him. The film might have been better served by Gilroy picking one or even two of his ideas and sticking with them rather than trying to cram everything in. The film lost about 12 minutes since it world premiered in Toronto this past September, but that hasn't done much to streamline things. But Roman is a compelling enough character, and Washington's natural magnetism helps to carry us through. While Washington's performance at first seems a collection of actorly tics, he eventually hits his groove, settling into the role and finding the deeper interior layers of the man. With such strong work at its center, it's a shame the rest of the film doesn't muster up the strength to support him.